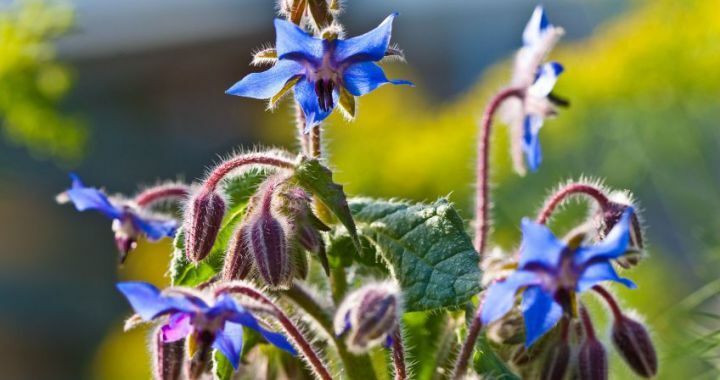 Borage, long known for its medicinal uses and culinary capabilities, is an herb rich in history and tradition. Pliny the Elder, in his works Historia Naturalis, said that borage worked well as an antidepressant, and said it had the ability to “maketh a man merry and joyfull”. Borage is noted for its cooling cucumber taste. It is used in cookery for flavouring. The stems and leaves are fuzzy, therefore many chefs use them for flavouring and remove them from the dish before serving. Leaves and stems are steamed and sautéed, much as spinach is. Stems can be used as you would celery. The star shaped flowers of borage are great as a garnish or tossed in a salad. The leaves and stems enhance poultry, fish, cheese, most vegetables, salads, pickles and salad dressings. The candied flowers are used to decorate candies and cakes. Flavours blend well with dill, mint and garlic. Posted in Culinary and tagged antidepressant, culinary, flavour, medicinal.